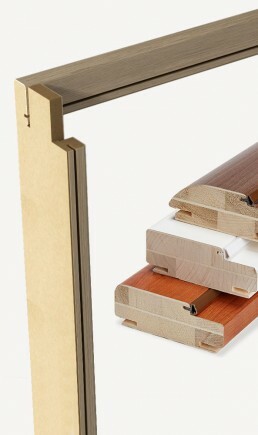  COMBI LAC | Honeycomb laminated interior doors | Braga S.p.a.
Practicality and refinement. 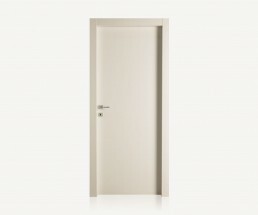 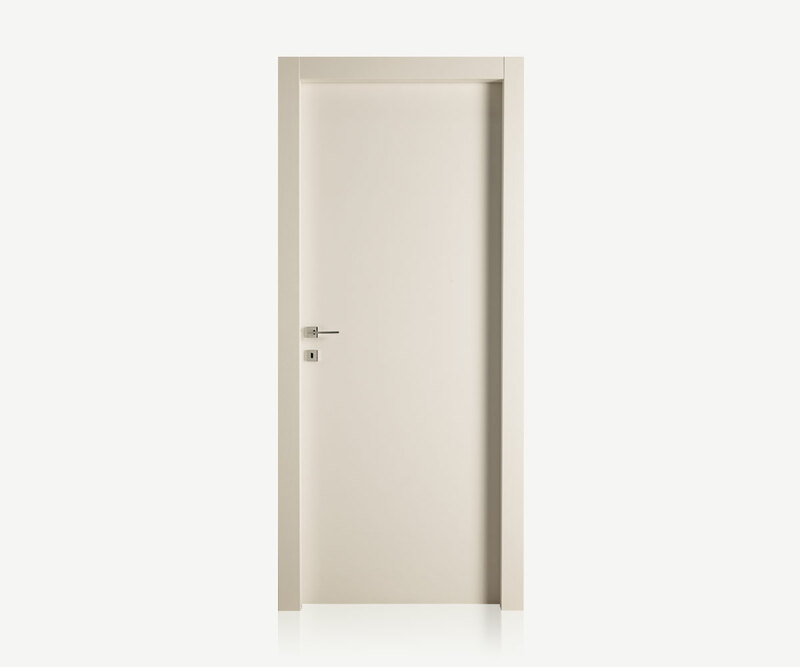 The convenience of the COMBI door blends with the refinement of the lacquered simil RAL9010 finish. 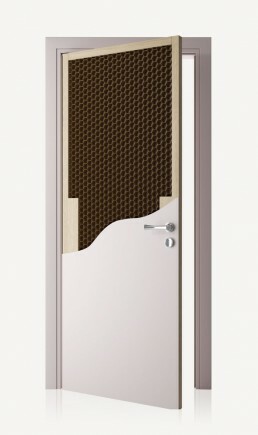 Even the COMBI LAC door is designed for reversibility. 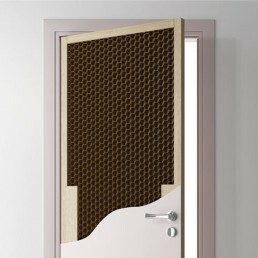 Door panel, thickness 44 mm., made with perimetral profile in finger-joint fir; honeycomb inside; nr. 2 MDF 4 mm. 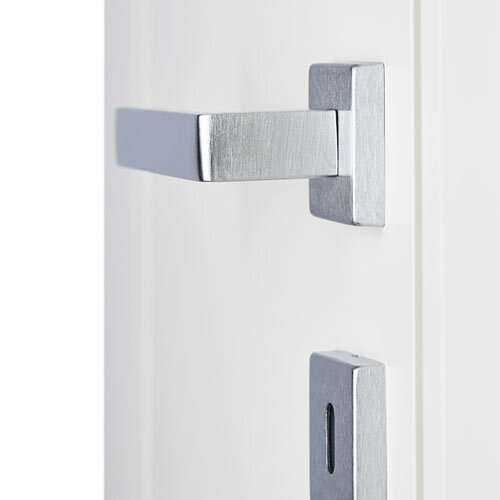 skin lacquered simil RAL9010; edged on 3 sides in the same colour; moisture protection film on the bottom. 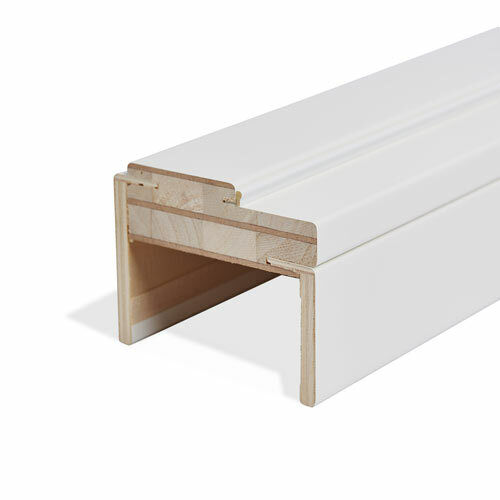 Frame radius 3, thickness 40 mm., standard width 117 mm. 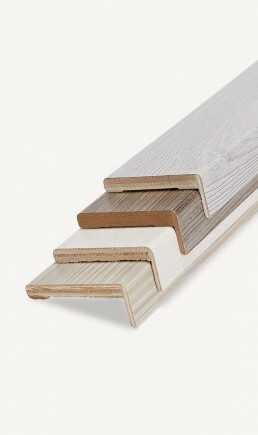 with blockboard support. Covering with lacquered paper simil RAL9010 with polyurethane gluing and PU anti-noise gasket. 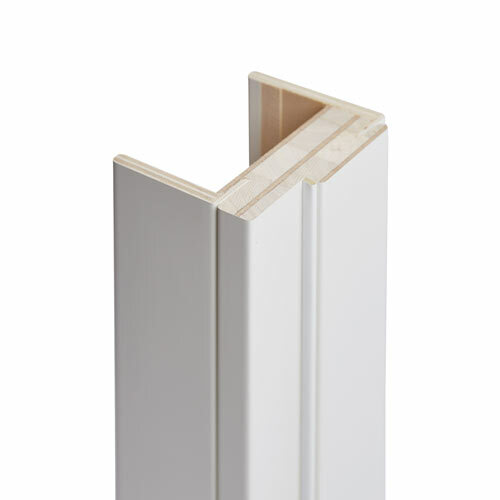 Architraves 90×10 wing20 push side + 65×10 wing20 pull side with multilayer support. 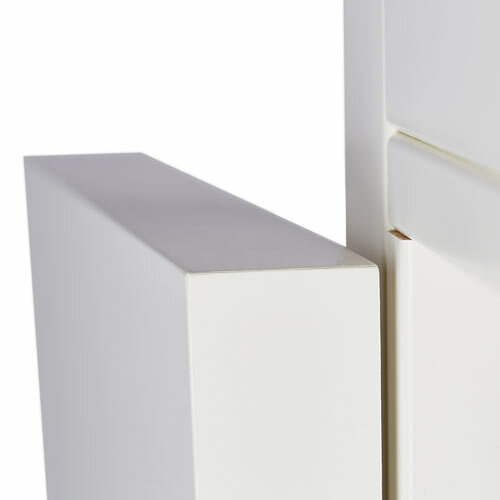 Covering with lacquered paper simil RAL9010 with polyurethane gluing. 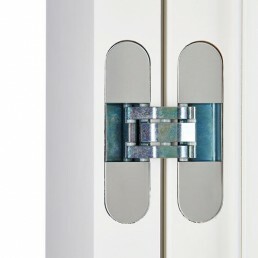 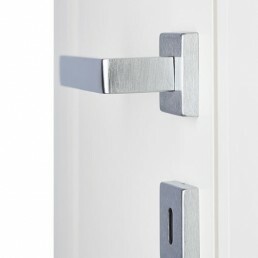 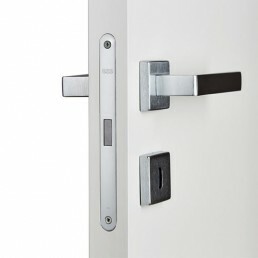 “MAGNETICA” lock with adjustable counterplate, key hole or WC, chromed finishing.